The World’s First International Choreographic Showcase of Urban Theatrical Dance is BACK! November 22, 2015, at the Crossing, Digbeth, Birmingham immediately following HHI-OPEN dance competition. Following a 3-year hiatus, the UK’s most exciting showcase is back. This event is NOT being run as a competition. This time idance® introduces the winners from the UK Hip Hop Dance Championships 2015 doing what they do best… dance! We are also looking for submissions. If you are interested in showcasing your crew, your school or yourself, and you have a creative piece of choreography from 3-5 minutes in length. 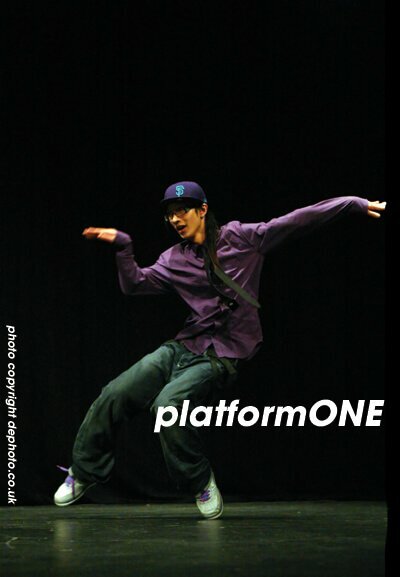 idance® is looking for groups interested in performing at platformONE. THERE IS NO CHARGE TO PARTICIPATE. We are looking for 10 – 12 groups who wish to perform alongside idance®’s selection of performance groups. Be present for a technical rehearsal Nov 22 during the day. Provide their own transport to and from the theatre and to cover any attached costs. Please note that there are no financial obligations for either party with regard to this performance. If you are interested in your dance group performing at platformONE then please click the link below to fill out the form no later than September 30, 2015. Please ensure that with your application form you include a link to some of your work, preferably the piece you intend to perform. If the piece you would plan to perform has not yet been made an outline of your plans would be useful alongside an example of work that your group has performed in the past. Please note that we cannot accommodate dance pieces any longer than 5 minutes and we are primarily looking for groups pieces from local artists, although solo and out of area pieces will be considered. Please note that we cannot accommodate dance pieces any longer than 5 minutes without explicit permission. idance originally created platformONE in 2008. The core concept of this event is not a typical showcase but “a competition of ideas” where the vision and creativity of the choreographer take center stage. This format uniquely provides a platform for urban and theatrical dance choreographers to express their creativity and develop their choreographic skill with almost the complete absence of rules, requirements, or choreographic restriction.